Short answer? Not really. It’s the age old battle…turfgrass versus large shade trees. Which will win? More than likely, your shade tree is going to win out. Most of us don’t want to confront the reality that we may have to make a choice between the two. We hear you! However, every single yard is different and the amount of actual sunlight reaching your neighbor’s lawn may be very different if you’re seeing different performance. The height of tree canopy, the position of the tree and angle of sunlight will significantly influence a lawn’s vigor. Turf grasses are primarily sun lovers. Most need a good six to eight hours of direct sun a day in order to have a strong root system and healthy top growth. There is just no way around it: When lawn grasses are in too much shade, they will begin to get patchy, die out in areas, and become weakened overall; the lawn is then much more susceptible to pests and diseases. No amount of fertilizer or water can remedy too much shade. While most turfgrasses are sun lovers, there are some varieties that are slightly more tolerant of shade than others. Again, tolerant does not mean they thrive in shade. All turfgrasses grasses prefer sunny conditions. St. Augustine and Zoysia varieties will tolerate a bit more shade than Bermudagrass. If you are only dealing with light shade part of the day or short times of cast shade, these more shade-tolerant varieties can be the solution. 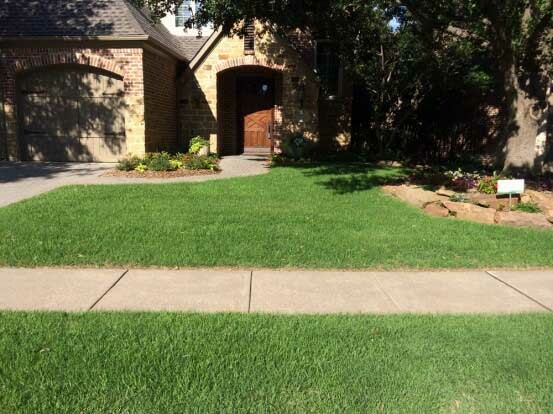 Zoysia grass is heat tolerant and will also tolerate a bit of shade. But, even shade-tolerant types can fall victim to too much shade. You’ll often see St. Augustine lawns hanging on in shadier conditions, but when you look closely, you’ll see that they tend to be very thin, weak and have a very minimal root system. When hit with a hard freeze or drought conditions, these weak lawns often die out. Fescue and ryegrass are naturally more shade-tolerant. But know that in our hot climate, these are cool-season only grasses. They’ll look lovely in late-fall through winter, but once summer heat returns they’ll go dormant, or die (annual ryegrass). A thick green lawn OR a large, healthy shade tree. Go for the Lawn: You’ve decided you can’t live without a lush green lawn. You can either remove the tree completely, or you can have a skilled tree care company restructure your tree’s canopy. If someone suggests that you just “thin your trees to allow more sunlight through”, chances are they may end up doing a lot of damage to your tree, without creating any long term benefits to the lawn. Restructuring and raising a tree’s canopy takes time and a trained professional to do it right. Saving your tree and your lawn will take some thought, but both can be done in some cases. Go for the tree: If big shade trees and shade on your home and landscape are more important to you, then replacing your lawn with shade tolerant groundcovers is the best option. Persian ivy, Asian jasmine, moneywort, ajuga, lamium and mondo grass are just a few great options for shady landscapes. You can also extend your beds and plant more shade loving shrubs and perennials such as hellebore, holly fern and violets. 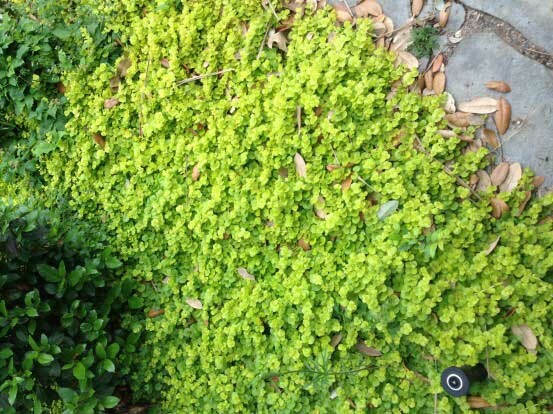 Plant Moneywort as a shady groundcover. If you feel that you have plenty of direct sun, but your lawn is still struggling, there may be other factors including water management, soil health or pests and diseases that could be the culprit. 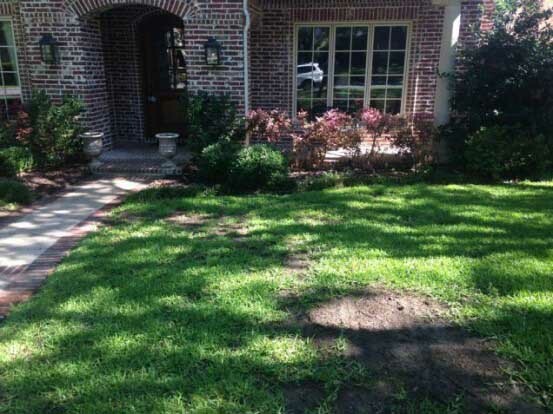 If your lawn has experienced significant damage you may consider re-sodding the lawn. However, re-sodding is only a solution if there is enough sunlight available to sustain turfgrass.